On June 1, 1998, Luis and Jesús Amezcua were arrested in Guadalajara by agents from the Mexican counter-narcotics agency, Fiscalía Especial para Atención a los Delitos contra la Salud (FEADS). The Colima Cartel at the time of the arrests of Luis and Jesús was believed to be "the most prominent methamphetamine trafficking organization operating ... as well as the leading supplier of chemicals to other methamphetamine trafficking organizations" Within 9 days of their arrest, The New York Times reported two of the three charges Luis and Jesús Amezcua Contreras were facing were dropped. Judge José Nieves Luna Castro dropped from each, one count of criminal association and money laundering, saying they had been charged under statutes that were not in effect at the time of their alleged crimes, leaving one remaining charge for each of the brothers. 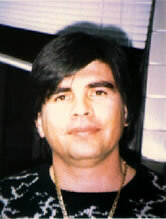 In May 2002, a federal court blocked the scheduled extradition of José de Jesús Amezcua to the United States to face drug trafficking charges because the U.S. extradition request did not comply with Mexico’s requirement that extradited criminals not face the possibility of capital punishment or a life sentence. On September 5, 2002, Japan Today published an article in which the head of the attorney general's organized crime unit (UEDO), José Luis Santiago Vasconcelos, stated the sisters of the imprisoned Colima Cartel leaders Luis Ignacio, Jesús and Adán Amezcua Contreras had taken over for their brothers. 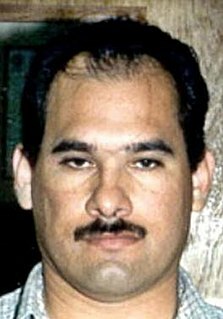 On June 1, 2000, the United States Department of the Treasury sanctioned Amezcua under the Foreign Narcotics Kingpin Designation Act (sometimes referred to simply as the "Kingpin Act"), for his involvement in drug trafficking along with eleven other international criminals. The act prohibited U.S. citizens and companies from doing any kind of business activity with him, and virtually froze all his assets in the U.S.
^ "1998 Congressional Hearings Intelligence and Security: DEA Congressional Testimony". Senate Foreign Relations Committee. February 26, 1998. - "PBS Frontline: Murder Money & Mexico: The Amezcua-Contreras Cartel". Public Broadcasting Service (PBS). ^ a b "DEA Confirms Arrest By Mexican Authorities of Amezcua-Contreras Brothers". Drug Enforcement Administration. June 2, 1998. Archived from the original on August 29, 2007. ^ a b "Mexico Drops Most Charges on 2 Drug Suspects". The New York Times. June 10, 1998. ^ Grayson, George W. (August 2007). "Mexico and the Drug Cartels". Foreign Policy Research Institute. Archived from the original on March 9, 2012. Retrieved September 19, 2010. ^ Organized Crime And Terrorist Activity In Mexico, 1999-2002 (PDF). Library of Congress. February 2003. ^ "Designations Pursuant to the Foreign Narcotics Kingpin Designation Act" (PDF). United States Department of the Treasury. May 15, 2014. p. 1. Archived from the original (PDF) on May 14, 2013. Retrieved May 28, 2014. ^ "An overview of the Foreign Narcotics Kingpin Designation Act" (PDF). United States Department of the Treasury. 2009. p. 1. Archived from the original (PDF) on May 28, 2014. Retrieved May 28, 2014. Adán Amezcua Contreras, along with his brothers Jesús and Luis, was a leader of the Colima Cartel, a Mexican methamphetamine and precursor drug smuggling organization. Edgardo Leyva Escandón is a Mexican national and alleged career criminal. He has been a high-ranking member of the Tijuana Cartel since approximately 1994. He has reportedly served the Tijuana Cartel as a personal assistant to its leaders, as a trained sniper to carry out assassinations against cartel rivals, and as one of the primary suppliers of weapons and ammunition utilized by the cartel. Jesús Enrique Rejón Aguilar is a former leader of the Mexican criminal organization known as Los Zetas. He was wanted by the governments of Mexico and USA until his capture on July 4, 2011 in Atizapán de Zaragoza, a Mexico City suburb. Óscar Malherbe de León is an Mexican imprisoned drug lord and former high-ranking leader of the Gulf Cartel, a criminal group based in Tamaulipas. He was the main intermediary of the Gulf Cartel in Colombia, responsible for shipping large sums of cocaine from the Cali Cartel in the 1990s. 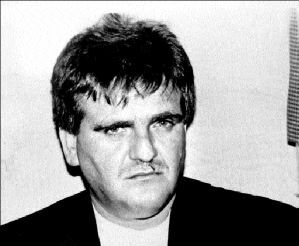 Before becoming a drug trafficker, Malherbe worked as a shoeshiner and car washer. He then turned to the auto theft industry and was recruited in 1976 by Casimiro Espinoza Campos, a former leader of a cell within the Gulf Cartel. By age 22, the Mexican authorities had charged Malherbe with at least 10 homicides. In 1984, his boss was killed by the then-leader of the Gulf Cartel, Juan García Ábrego, who later appointed him as one of his top lieutenants and moneymen. Abigael González Valencia, commonly referred to by his alias El Cuini, is a Mexican suspected drug lord and former leader of the Jalisco New Generation Cartel (CJNG), a criminal group based in Jalisco. He was also the head of Los Cuinis, an organization allied to the CJNG. 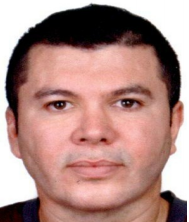 Along with his brother-in-law Nemesio Oseguera Cervantes, one of Mexico's most-wanted men, González Valencia reportedly coordinated international drug trafficking operations in the Americas, Europe, and Asia. He was also responsible for managing the financial operations of the CJNG and Los Cuinis.